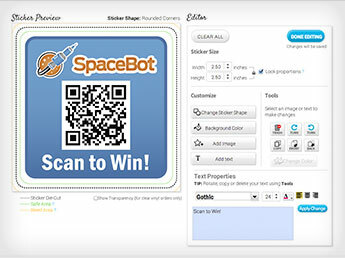 Sticker marketing helps you stick out in the minds of busy customers or stand out amongst friends. You don't need a large budget. You can give stickers away affordably. Sticker marketing works wonders as a media. Why? Stickers resonate with everyone! And who doesn't like free stuff? Stickers are popular as giveaways and handouts at events because everyone likes stickers, they are the one throwback product to childhood that people don't outgrow. 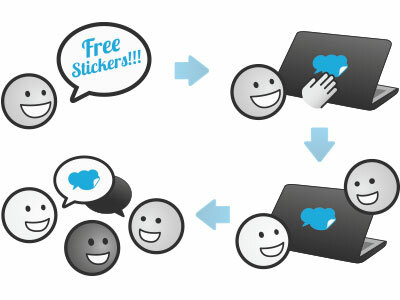 Once a sticker is in the hands of a customer they become the marketing vehicle for your brand. Since stickers can be placed on virtually any medium, no other marketing or promotion vehicle is quite as malleable, and, consequently, as effective. As the custom stickers travel through everyday life, it can obtain countless impressions for your brand at no extra cost. Impressions are not just about what clicks – but what sticks! 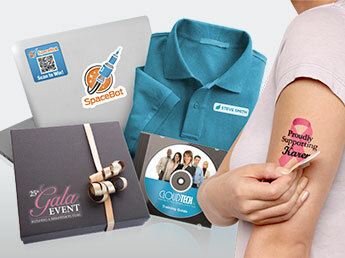 In addition to using stickers as a marketing vehicle, they can also be used to enhance existing promotional items. Sometimes it makes sense to buy custom printed packaging or promotional products when the quantity is high enough to justify the cost. However, when you only require 1, 50, or a few hundred of any kind of packaging or promotional item, it is often far more cost effective to apply stickers or labels this delivery vehicle. Why pay for what you don’t need? 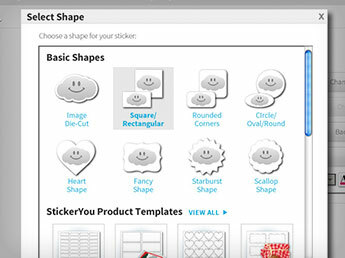 You can make a sticker any shape and size you require. There are no die charges. Our platform enables you to size your sticker/label to the nearest 0.1” so you can get a sticker cut exactly to the shape and size you need it to be applied. Our proprietary die-cut technology enables your image to be contour cut so the die-cut is a unique shape that follows the contour shape of your image. The result is an awesome looking sticker. You can upload any image or use our Sticker Editor to create your own sticker, with 10,000 of our images, and editable product templates such as food, wine, or address labels. Customize using our text and image tools, and background color. The preview will display your sticker, its die-cut, and adjustable size in real time for you to approve before you order for maximum satisfaction and performance. The material of a sticker is extremely important to its application. StickerYou’s standard adhesive material is an extremely durable but removable, in glossy white vinyl finish. It is water and weather resistant for outdoor applications, and UV coated for added protection for things such as hand abrasion. We want your brand to stand out and stick well. If there is ever a need to remove the sticker, they will remove with no guck or residue!